Bandelier National Monument is a 33,677-acre (13,629 ha) United States National Monument near Los Alamos in Sandoval and Los Alamos Counties, New Mexico. 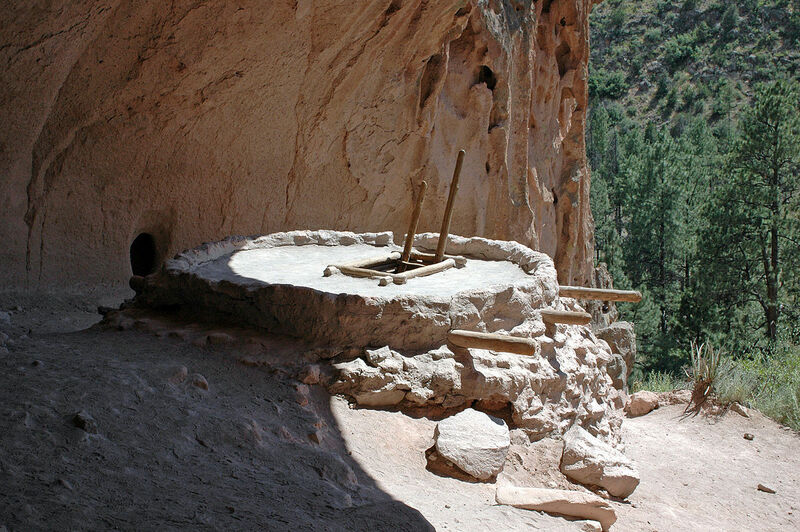 The monument preserves the homes and territory of the Ancestral Puebloans of a later era in the Southwest. 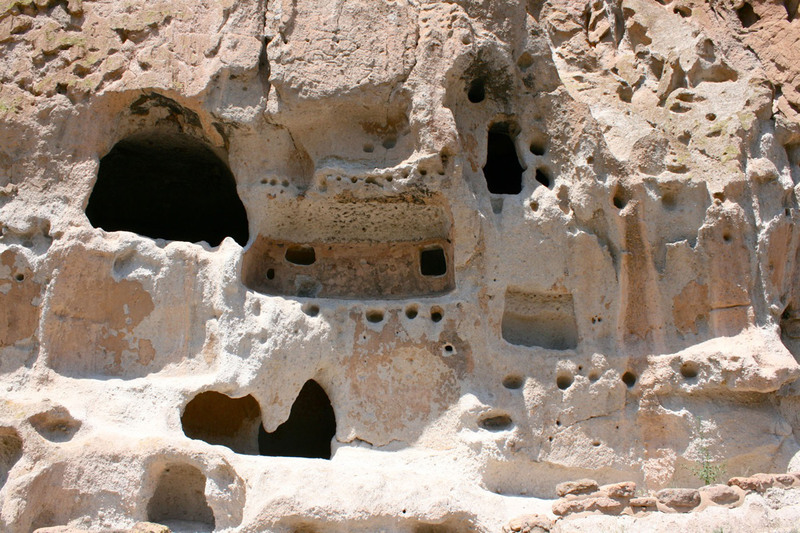 Most of the pueblo structures date to two eras, dating between 1150 and 1600 AD. 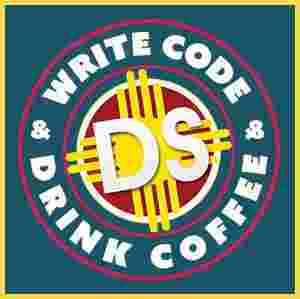 The Monument is 50 square miles (130 km2) of the Pajarito Plateau, on the slopes of the Jemez Volcanic field in the Jemez Mountains. 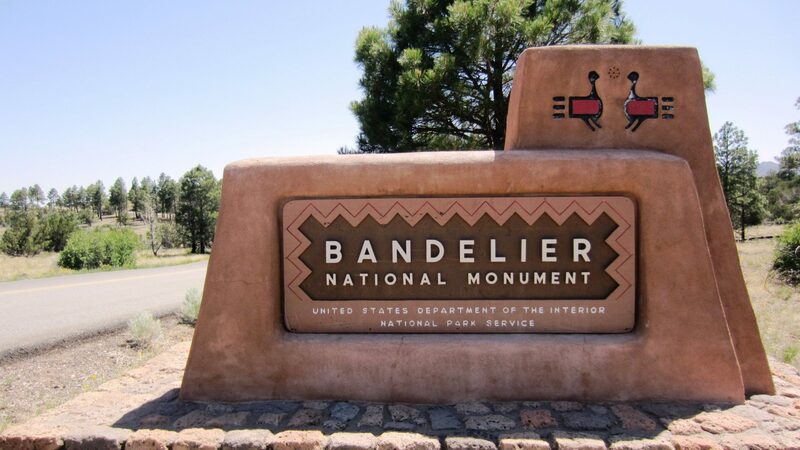 Over 70% of the Monument is wilderness, with over one mile elevation change, from about 5,000 feet (1,500 m) along the Rio Grande to over 10,000 feet (3,000 m) at the peak of Cerro Grande on the rim of the Valles Caldera, providing for a wide range of life zones and wildlife habitats. There are three miles of road, and more than 70 miles of hiking trails. 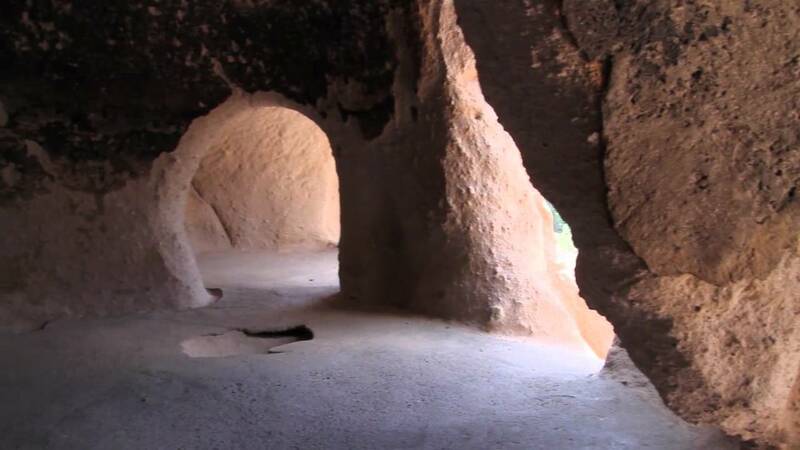 The Monument protects Ancestral Pueblo archeological sites, a diverse and scenic landscape, and the country’s largest National Park Service Civilian Conservation Corps National Landmark District. 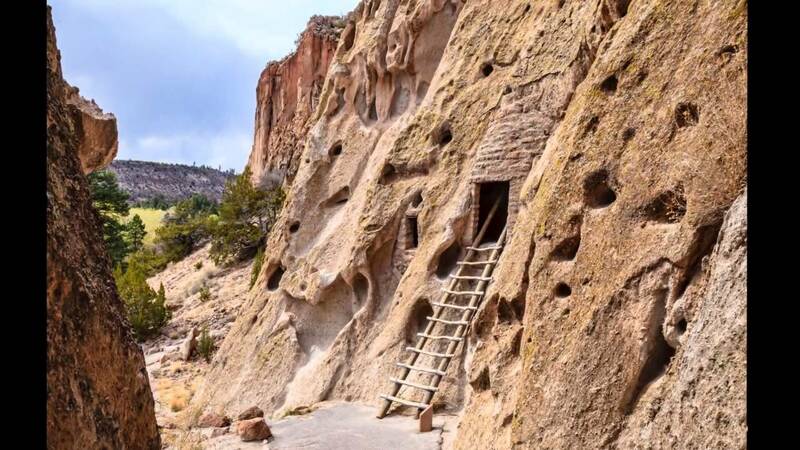 Bandelier was designated by President Woodrow Wilson as a National Monument on February 11, 1916, and named for Adolph Bandelier, a Swiss-American anthropologist who researched the cultures of the area and supported preservation of the sites. The park infrastructure was developed in the 1930s by crews of the Civilian Conservation Corps and is a National Historic Landmark for its well-preserved architecture. 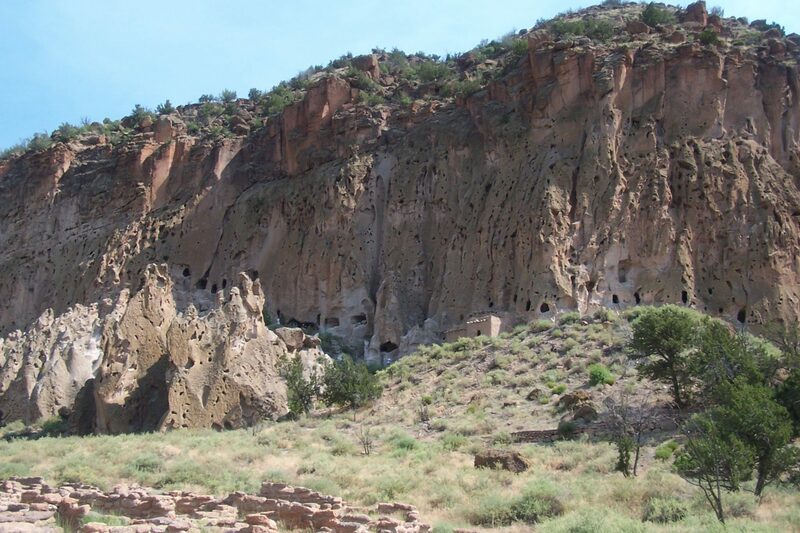 The National Park Service cooperates with surrounding Pueblos, other federal agencies, and state agencies to manage the park.